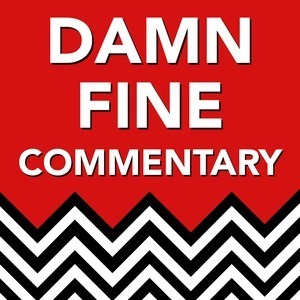 We found 1 episode of Damn Fine Commentary with Dave and Lynch with the tag “part 16”. Part sixteen of Twin Peaks: The Return shows us lots of action at Dougie's house. Chantal and Hutch run out of snacks and a Polish accountant runs out of patience. Diane recounts her past, Audrey does a dance and Cooper is back 100%. It's a tightly-packed episode and people are under a lot of stress.